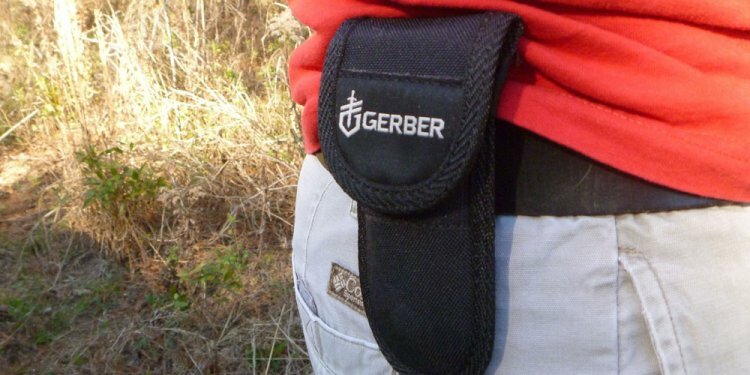 I have used Gerbers for several generations now (since at least 1993). I have used them on everything from Commo wire, to a 5-ton. I even patched a Patrol Car back together enough to get home from a training class out of town. I don't think the Motor Pool even bothered to replace our repair job. I carry one (Blunt Nose) on my Duty Rig and use it almost daily. I received the MP-600ST in an Otis Weapons Maintenance Kit and have yet to use it on any of my weapons. I have already used it to cut chicken wire for a car repair and change out turn signal light assemblies on a truck. IF you use it properly, the Gerber Multi-plier is bulletproof. I have broken components, but I was not using them properly. :-) I have tried competing multitools, but for comfort, dependability, safety, and convenience, I always return to Gerbers. As a Soldier and Peace Officer, one handed operation is a requirement in my book. The Gerber has been the only one that consistently fulfills my requirements. I can't wait to "retire" my current MP-600 and use the MP-600ST "full time". I highly doubt that my blunt nosed 600 will ever be fully retired, though! Great tool for any military personal. I know I am constantly using my front sight adjustment tool on my soldiers M16's so they can sight their weapons. I also use the other functions on this product a lot as well. This is a total universal tool for all military personal. Wonderful tool. I have a Leatherman Wave, a Vicotrinox Spirit (military version) and this Gerber is my favorite. Very easy to use, stainless steel and good smooth black finish. I really think Gerber should make the cases available for separate purchase though. I need to replace my case with a nice tan Berry compliant TAN499 but I can't order it separately. I think this would be mutually beneficial to us and Gerber. This knife is amazing I don't know where to begin I always us it to adjust my sights on the M4 and I just love every tool on this knife. Great Job Gerber!! What is the point of taking out the philips head? Instead of replacing it with the sight post tool, include it. Being in the military, we would use it quite often especially when you're constantly fixing generators. There are so many things that I like about the MP 600 ST. I like the color, it looks cool and it won't reflect light, I like that you can lock each tool back and then easily release the lock. Being able to replace the wire cutter blades is important and the sight post tool and the carbon scraper are indespensable. The knife takes and holds an edge well and the lanyard hole is nice to have. You can put a strand of paracord through it and hang it from your neck for easy access. Being able to open it with one hand is a must for a multitool, usually when I need it, my hands are busy. It is very comfortable in your hand, it doesn't pinch you hand and feels very natural unlike most other multitools. This tool is very strong, I have put it through it's paces and haven't even put a scratch on it. I would definitely recommend this multitool over ANY other.